Ring save Santa Monica, Ca.-based Ring may have a customer for life. When Santa Monica renter Jessica Katz installed a Ring Video Doorbell on her apartment front door, she probably did not expect that an eviction notice would come ringing. But that's just what happened when her landlord demanded she remove the device for defacing her door, or get evicted. Enter Ring CEO Jamie Siminoff who heard about the issue and offered to pay Katz's attorney bills and help her work out her problem with her landlord. An attorney, paid for by Ring, sent a letter to the landlord on behalf of Katz, stating her building lacked security needs to keep Katz and her children safe—including a security panel that had not been working at the time she installed her Ring doorbell. Neighborhood security is one of Ring's selling points. Besides using its device to keep a homeowner safe, Ring wants consumers to know they can use the IoT doorbells as a kind of smart neighborhood watch. 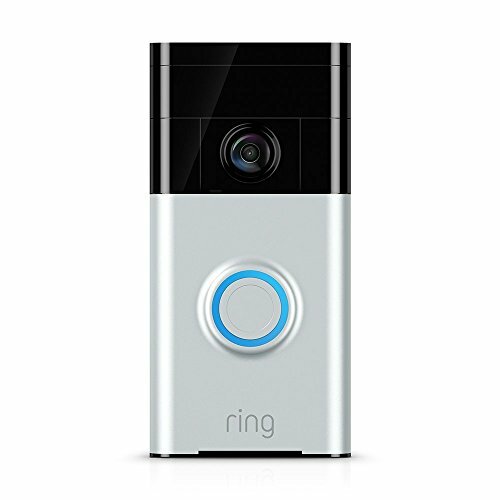 The company has been working with at least one local Los Angeles-based community to build what it calls Ring Neighborhoods, where residents install Ring doorbells, and then share information gathered from the device with each other about people and incidents in the area. The company says on its web site that in the Wilshire Park neighborhood of Los Angeles, burglaries were reduced by 55 percent since the devices have been installed. As for Katz, the Santa Monica Daily Press reports that after the landlord received her attorney's letter, repair people arrived quickly to fix the security panel on Katz's property. The Ring video doorbell—and Katz—are still in residence at the building. Fireworks Deux Missed the fireworks yesterday? No reason not to partake today. We have 7 top VR fireworks displays sure to bring some spark into your day. Plus with Bastille Day just around the corner, you could save these for a little French celebration—perhaps timed to the 14th day of the Tour de France.